A beautiful collection of three sweet Regency romances that you'll want to read again and again. 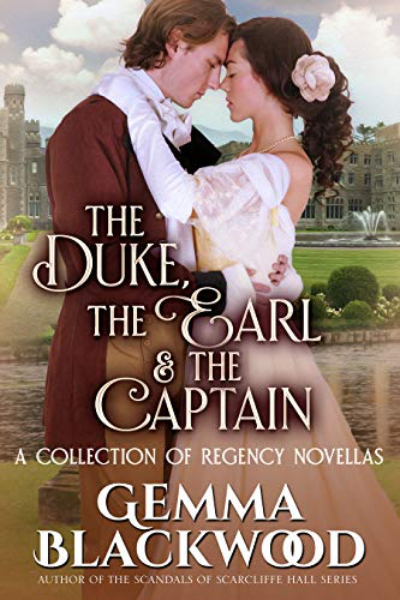 The Duke, the Earl and the Captain will transport you to a world of historical romance, beauty and intrigue. One-click today for just 99c or FREE on KU! All Charlotte’s dreams should have come true the day she married her duke. Ralph is handsome, wealthy, powerful… and too damaged by his past to open his heart to his wife. Can the joy of Christmas finally bring Charlotte the happy marriage she desires? A proposal from a dashing army officer is the last thing Grace Rivers expects after she is sent to the country in disgrace. When her past and Captain Everly’s rash actions throw everything they hold dear into peril, they must each decide which they value more: their childhood dreams, their damaged reputations, or their newfound love. Gemma Blackwood adores romances with scandal, intrigue, rakish heroes and, most importantly, happy endings. She got hooked on historical romance aged eighteen with a copy of the Complete Works of Jane Austen and hasn't looked back since! These are sweet, romantic and secondary worthy. Three charming, determined and irresistible men find themselves falling in love with wonderfully perfect for them women. The stories are filled with warmth, joy and romance, each has it's own twist, but all are beautiful. What a treat! Three stories in one book. All of them are well written and attention grabbing. If there hadn’t been three stories I wouldn’t have been able to put it down. Thanks for the little breaks between stories, Gemma! I thoroughly enjoyed these novellas. The endings were not predictable, which made each story exciting enough to read all at once! For brief novellas, the characters each had just enough development to be certain I understood their thoughts and actions. Romance is the order of the day, even though they had to work for it, and I was there to cheer them on every step of the way! I was enchanted by all three stories! They were wonderful, just-right lengths for a single sitting. 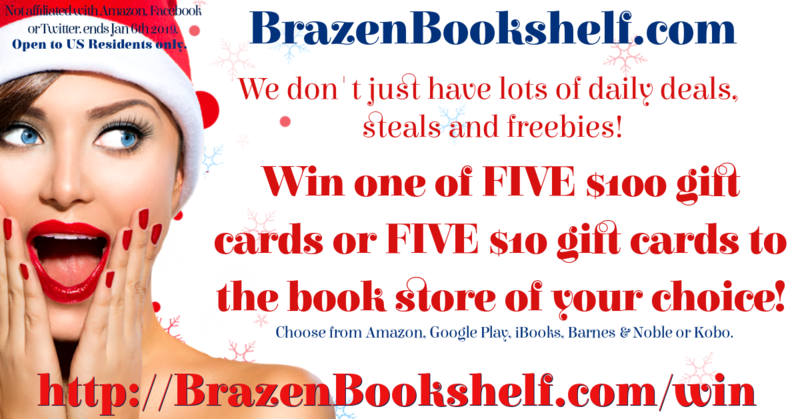 You're recieveing this email because you signed up to BrazenBookshelf.com's Sweet & Clean Romance newsletter. You can change your settings at any time by clicking the "Change my subscription settings" link at any time.